Looking for new ways to serve ground beef, chicken, turkey, pork or sausage? You'll find some delicious ideas here! 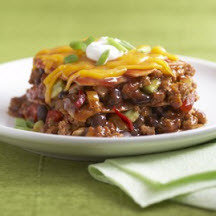 Find hundreds of quality, kitchen-tested recipes for burgers, meatloaves, meatballs, casseroles, meat sauces, quick skillet dishes and pasta dishes that you can count on for successful deliciousness. 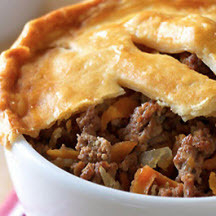 Ground beef easily takes the place of traditional leftover roast beef in this tasty "Pasty Pot Pie". Comfort food at its best! 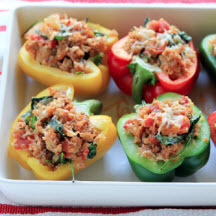 These hearty stuffed peppers feature a combination of nutritious ingredients, including the super grain quinoa and lean Italian turkey sausage.